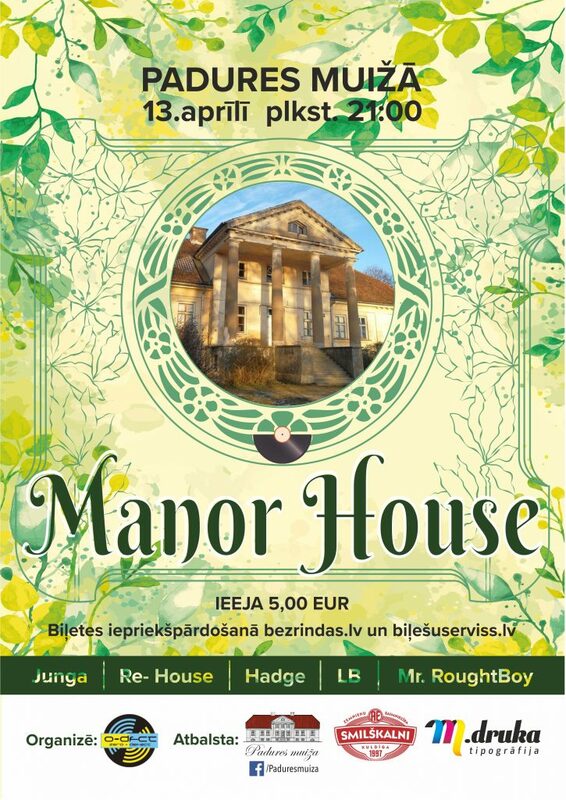 Already the fourth dance music event in the large hall of Padure Manor. It’s no secret to anyone that the best and most beautiful balls have always been in palaces and manors. Sticking to these traditions, for the fourth time, the creative association Zero Defect, in collaboration with Padure Manor, is hosting the Manor House event. In honor of this small anniversary, a special treat for true dance gourmets has been carried out. As the main guests will present and highlight the new generation DJ Jung and Re-House, who are undoubtedly one of the brightest representatives of their generation’s club culture on the Kurzeme side, as evidenced by their participation in various DJ competitions and events. Young censors will delight us with investigated house music sets. Zero Defect DJ, HADGE, LB and Mr. RoughBoy will take care of the musical atmosphere together with the main guests.